Nicholas has worked across the telecommunications, retail and government industries, gaining experience focused in process & requirements analysis. His experience ranges from IT Asset Management through to Project-specific support and methodology enhancement. 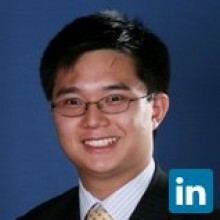 With a strong focus on building customer relationships, Nicholas has worked with blue-chip organisations such as IBM Global Services Australia, Coles Myer (now Wesfarmers) & Shell Australia (Coles Express), ANL Container Line, Telstra (4 times including the current Terra Firma client engagement), the Department of Human Services and National Australia Bank. See client experiences below. LinkedIn skills endorsements are also very valid. Nicholas’ experience is quite holistic in that projects engagements tend to be end-to-end in delivery and in his above and beyond personal contribution. Nicholas aims to operate across both vertical and horizontal mindsets; implementing, designing and strategising. To further enhance this core consulting competency, Nicholas' MBA education has further expanded his knowledge base to incorporate marketing (strategy) - which provides a strong influence/direction for developing his career. Business analysis: process & requirements are the core skill set. Add to that a dash of project services (support, PMO, scheduling) + organisational change (training, communications, change management) = NIC. For first seven years experience summary with Terra Firma, see entry below. I've come a long way since 2005 as a Business Analyst. Skills are best covered by the Skills/endorsement feature of LinkedIn... I've branched out thanks to the full spectrum of experiences that the clients have allowed me. Project services include project support, scheduling, PMO reporting. Organisational change capabilities include training, communication plans, facilitation, change management. Add to this my MBA marketing focus (marketing strategy, marketing communications, brand management, product management). As of August 2013: Social Club Newsletter Editor. Currently working in the ICT industry providing business improvement (requirements management). Returning to Telstra; the Product Engineering group reorganised into Networks > Consumer Mobility & Product Engineering > Wireless & Enabler Solutions > Product Solution Engineering. Initial focus was exclusive to a single project on consumer mobile data bill shock. A total of 6 projects utilised my consulting/analytical services. Technology/products include the mobile portal, Nuance call-intercept client, Prepaid Blackberry and content zero-rating. Workload entailed single project (since late 2012) - performing multiple roles in business process analysis (2011-2012), change analysis (2011-2012), project scheduling (2012-2013), vendor engagement/support (2012-2013), vendor selection coordination/management (2013), business case support (2013), requirement analysis (2011-2013) and requirement management (2011-2013). Working at Terra Firma for over 7+ years has been a journey of growth. Developing business analyst consulting skills, with a strong coverage of all areas of consulting have been the fruits from working at key client accounts. Telstra experience totals 4.5+ years across TE&G and the Wireless/mobile phone projects area. An entire year at ANL performing requirements analysis and business intelligence data warehousing analysis complements 6 months with Superpartners and 2 months at NAB. Currently based at Telstra. Writing up functional spec/requirements for the Employer Online Services (EOS) project - main focus on contribution management functions (add/edit/remove members). Handed over to Oakton BA. Worked on the detailed requirements and proof-of-concept for the Personal Storage Encryption work-stream of the Information Loss & Protection program within NAB Global Business Services (GBS) - Technology. Scope of work included business process impact analysis for supporting the managed service offering, including initial hardware provisioning. This Telstra engagement was focused on gathering and documenting the enhancements requested by Customer Care and Sales for consideration in the next financial year’s program – MAXIM Evolution FY10-11. MAXIM Evolution is the next project phase in the CRM strategy at TE&G; it builds upon the efforts made throughout FY09-10 to upgrade the Siebel CRM platform from Version 7.7.5 to Version 8.1.1. The project operates parallel to other strategic programs of work – Project Jupiter (which provides requirement input into MAXIM) and the Complex Products & Solutions project. Deliverables created as part of his work included the Business Requirements Document, Enhancement Register, End-to-End Systems Overview diagram and inputs for the Business Case. Nicholas also extended his experience through the on-the-job training of Terra Firma associate consultants. Nicholas worked closely with technology, demonstrating his versatility across the consulting spectrum. Within an enterprise architecture integration (EAI) environment which utilises TIBCO, Nicholas worked with business stakeholders from Finance and HR to deliver two interface requirements specifications. The first interface transfers General Ledger journal postings from the HR Payroll system (SAP ECC 6.0) to the financial management system (Oracle Financials 11.5.10.2). The second interface delivers Accounts Payable vendor payment invoice data. Extensive data mapping and analysis performed, with the short engagement handed over due to physical resource constraints. Nicholas’ work also triggered an architecture review on the interface designs because of unproven interface connectivity between SAP and Tibco (Oracle). Part of a 15-member project team, responsibilities focused on documentation and implementation of management reports. Work effort was split between writing Functional Specifications, documenting support business processes, and analysing existing IT systems & data structures. Part of a 10-member project/support team. Key achievements include the holistic approach to reporting, including automation of data sourcing from areas beyond the Data Warehouse scope, reducing the manual business reporting effort. 48 major commercial reports were documented plus successful end-to-end analysis, implementation & deployment of a reconciliation report. Majority of automated commercial reporting saved ANL Commercial 5 days effort per month. Served in the Medibank Client Program Office, on the client site. Nominal role of Asset Administrator. ITS Voice & Infrastructure team. Interactive voice recognition (IVR) technology research & presentation support. Telephony call analysis for Coles & Kmart.